Mission Statements generally comprise of the company’s core values and the ethics, on which the company is based. 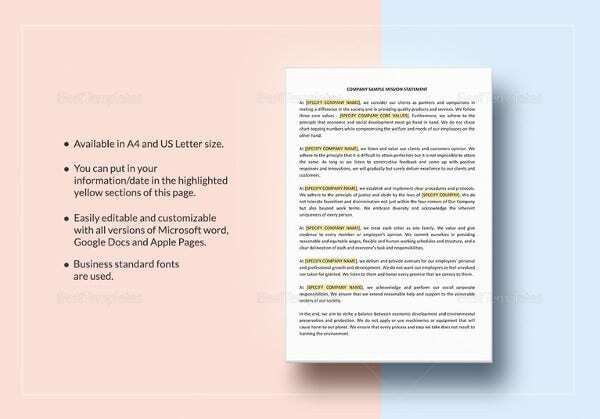 They go along with the company’s vision statement examples and form a perfect equilibrium. It is very crucial for any organization. 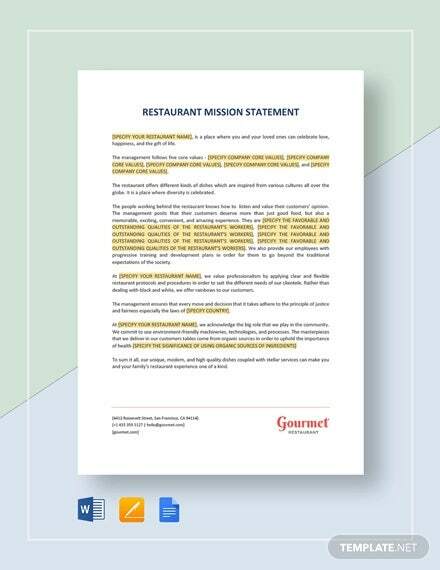 Hence Mission Statements are often crafted with considerable care. However, if you are looking for a powerful mission statement, this article provides you with a lot of examples. More than often, Mission Statements remain unchanged over a period of time. Does your Mission Statement sync well with your business? If not then here’s a perfect Business Mission Statement Example. If a Mission Statement has the ability to streamline an organization, it can be applied to individuals as well. 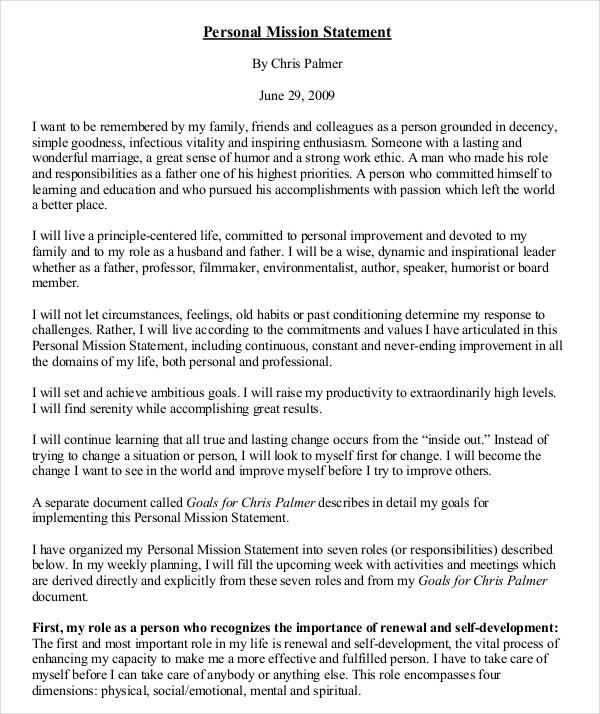 This Personal Mission Statement Example help to discipline your behavior and attitude. Does your Company’s Mission Statements fail to define the target customer? Then the time has come for you to change your Company Mission Statement. 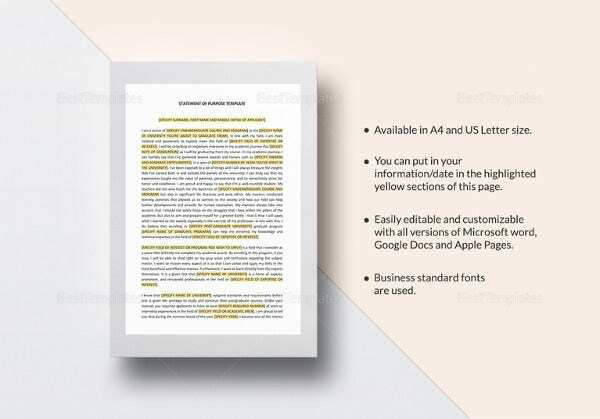 This Company Mission Statement Example help you to focus on the purpose of your company. In a way, Vision and Mission Statements are inseparable. While the Mission talks about the core values and principles, vision deals with the future prospects. 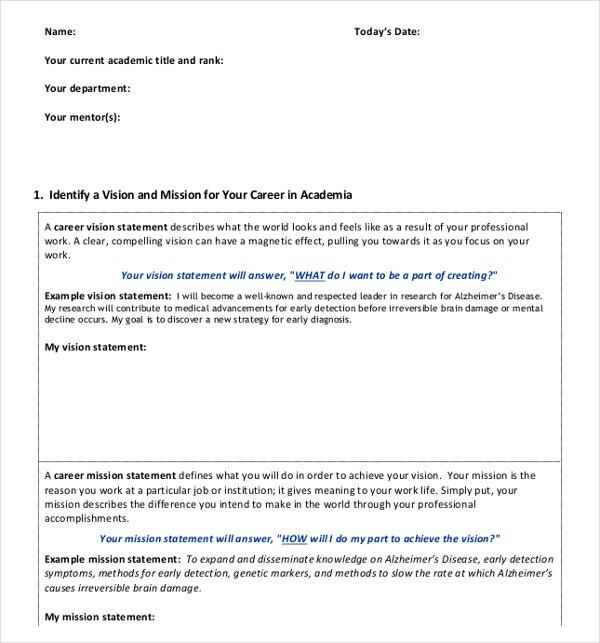 The Vision and Mission Statement Example in this section help you in designing and addressing the organizational goals. What are your career objectives? Are they hypothetical? Then remember that they even diminish the priority of your resume as well. 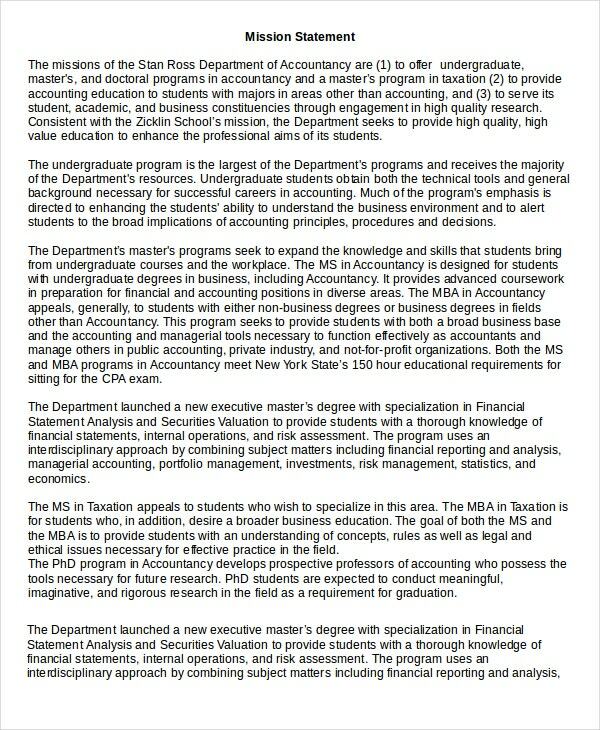 The Career Mission Statement Example in this section best trims your career priorities. Banking sector greatly relies on integrity. 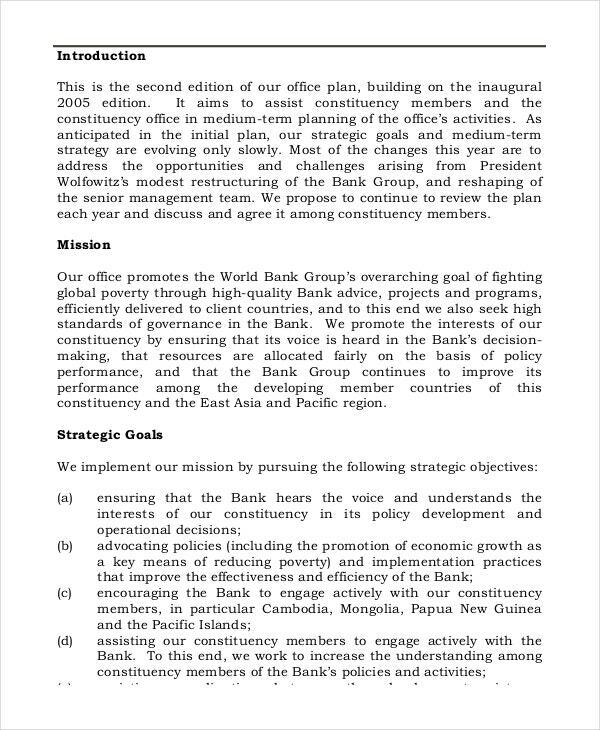 The Bank Mission Statement Example in this section help you frame what your bank offers for your customers, for the employees, and for the whole world. Now Charity Missionaries are mushrooming in every city and also many unethical practices of missionaries are getting exposed in media. In this present condition, how will you ensure that your firm is authentic and dedicated? A strong mission statement spreads the positive vibes across. 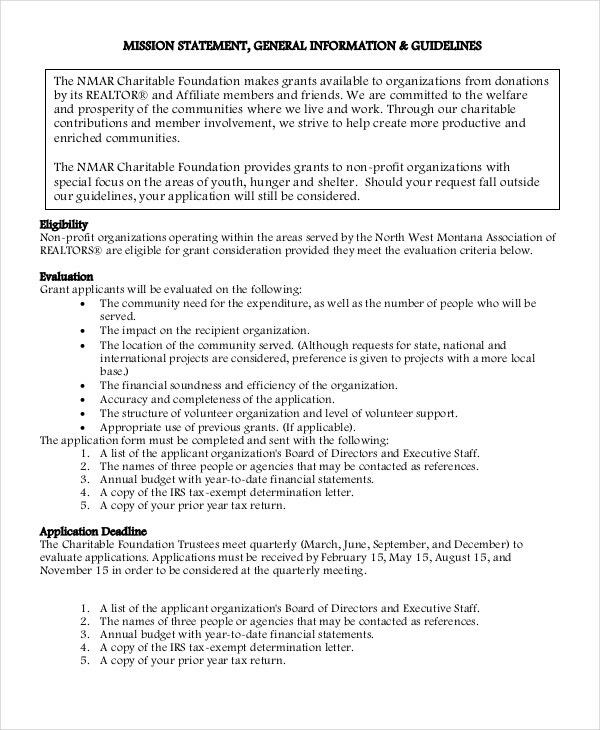 These Charity Mission Statement Example will do the same for you. Is yours a Non-governmental Organization aiming for environmental friendly society? 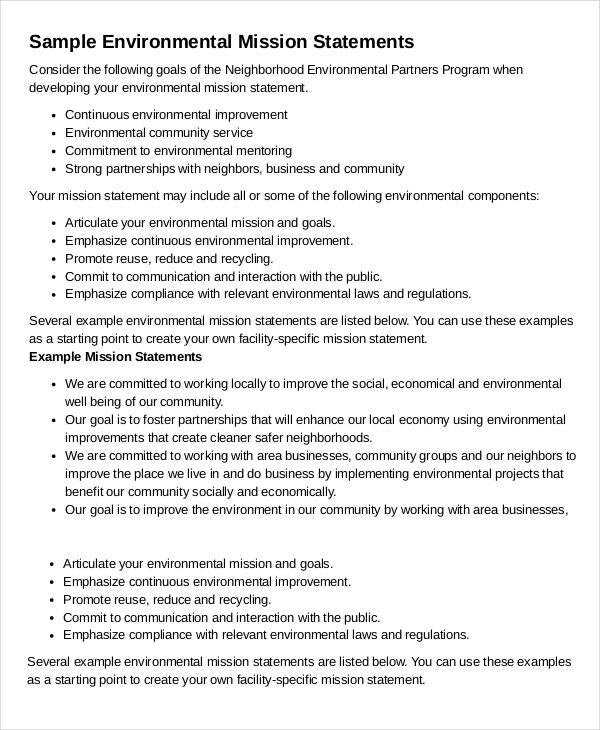 Then this Mission Statement Example echoes your commitment to environmental mentoring. Are you providing a safe, stimulating, and appropriate environment for Child Care? 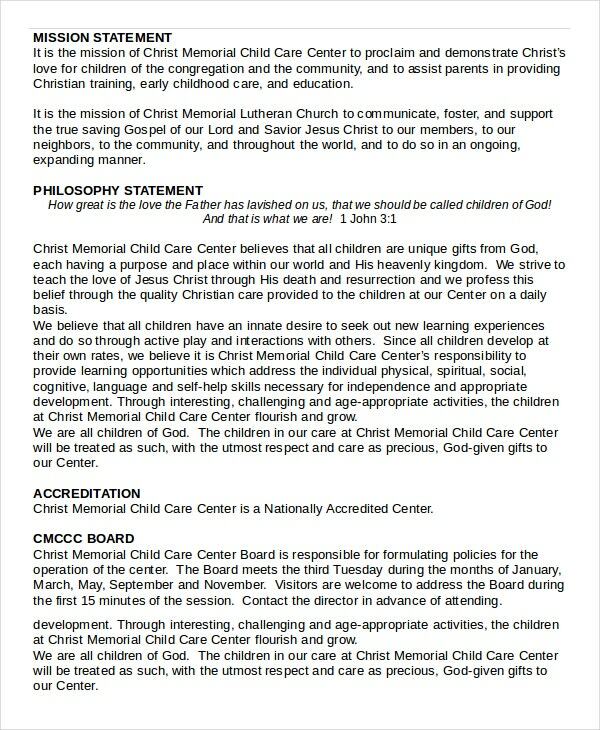 Then this Daycare Mission Statement Example let the parents know your caring and loving nature towards kids. Is your Company’s Mission Statement defined on the same lines of your ethics and other principles? Otherwise, there won’t be a point in keeping those ethics at all. 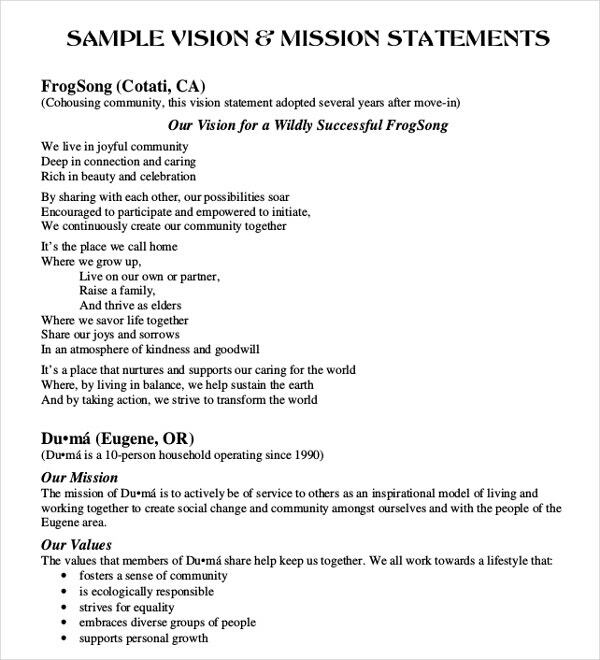 This Ethics Mission Statement Example mirrors your values in a befitting manner. 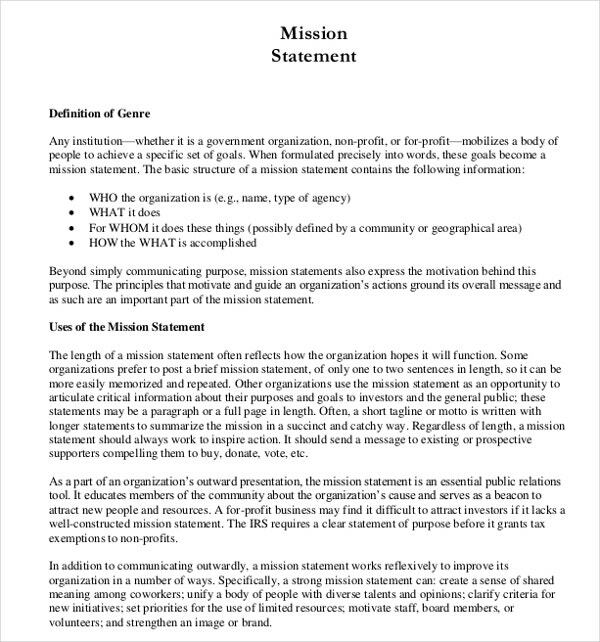 > Why are Mission Statements Important? Mission Statements play a pivotal role in a company’s success. They act like a compass and navigate the way when you are at crossroads. We often see that companies’ mission statements become as popular as their products. 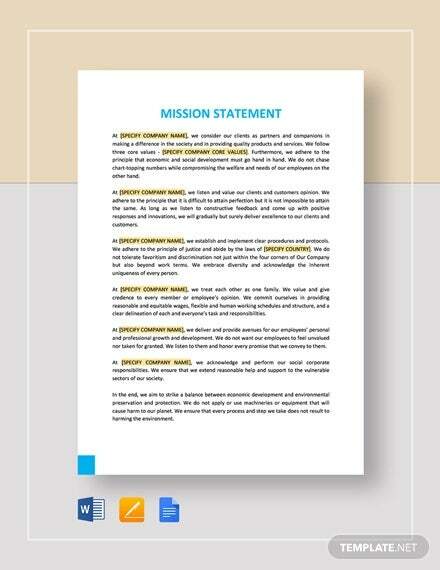 Many business planners agreed that Mission Statements are an invisible driving force for the team. Not only that, they place you in a dignified position in the eyes of the target audience. They also guide you through the change when warranted. Because of these reasons, any company that wants to grow in a positive manner gives proper weightage to the mission statements. But make sure that your mission is quantifiable!